Tin cans can be used for so many different projects. 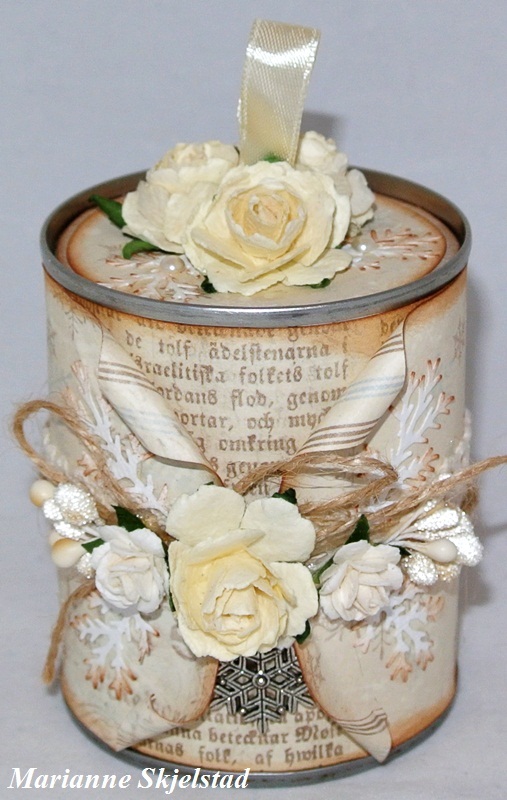 This corn can is now decorated with with papers from Silent Night together with roses, ribbons, berries and pearls. I have also made a lid for the can to make it even more decorative. Brilliant….oh so beautiful for anytime of the year!